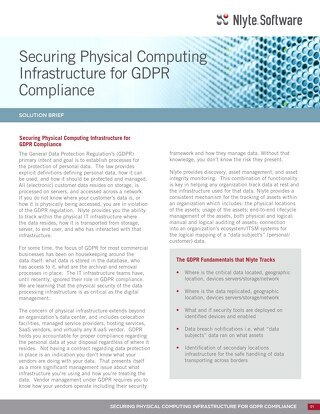 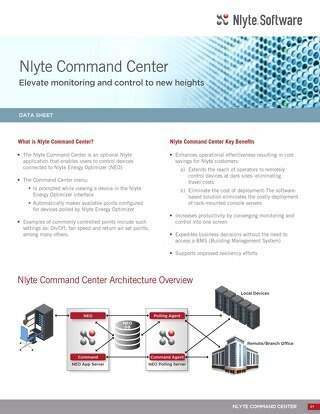 Bi-directional synchronization of CI/asset attribute data between the Nlyte Central Repository and the ServiceNow CMDB for truer capacity planning, improved compliance and for one version of the truth in the data center. 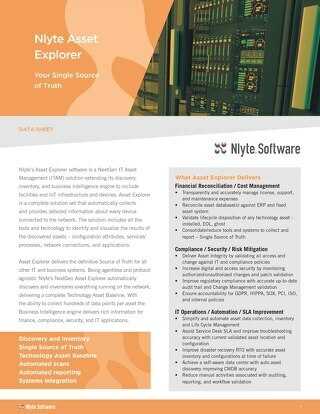 Nlyte's Asset Explorer Connector for Misrosoft SCCM bolsters the security and asset integrity of an organization's SCCM tool. 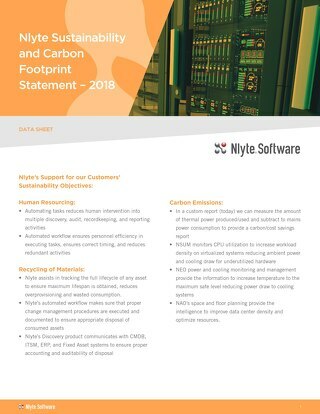 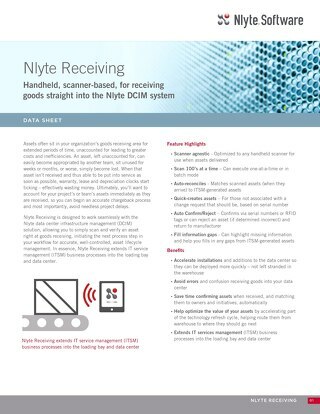 The Nlyte Audit for the portable audit of cabinets, IT devices and their network and power connection, reducing the time to install equipment,capturing changes and improving data accuracy. 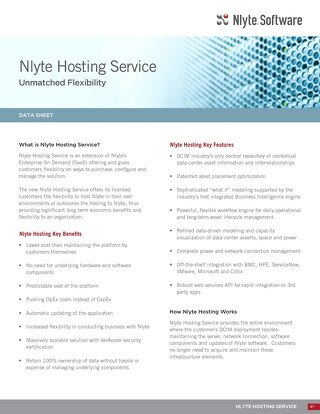 Nlyte Hosting Service is an extension of Nlyte’s Enterprise On Demand (SaaS) offering and gives customers flexibility on ways to purchase, configure and manage the solution. 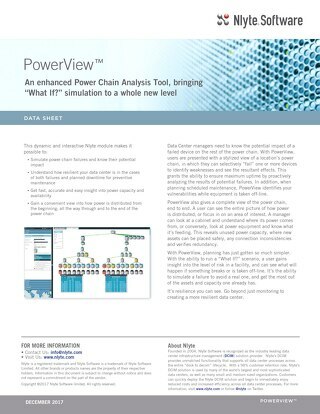 With PowerView™, users are presented with a stylized view of a location’s power chain, in which they can selectively “fail” one or more devices to identify weaknesses and see the resultant effects. 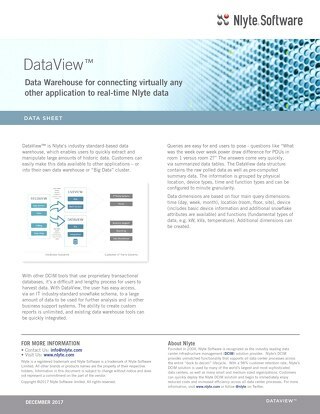 DataView™ is Nlyte’s industry standard-based data warehouse, which enables users to quickly extract and manipulate large amounts of historic data. 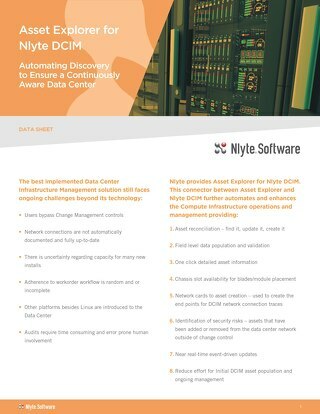 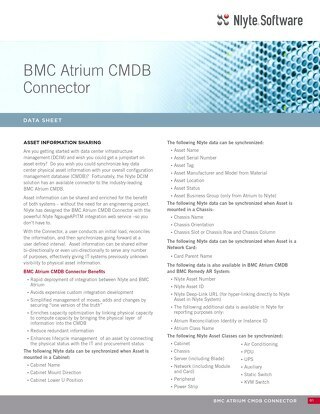 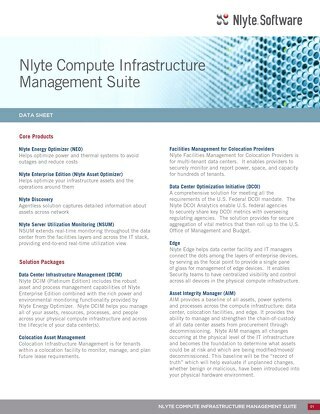 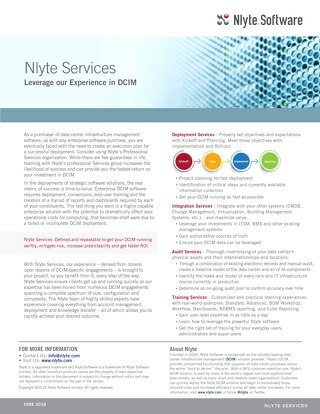 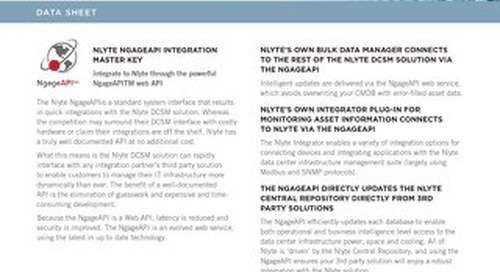 The Nlyte BMC Atrium CMDB Connector Data Sheet describes the benefits of and how Nlyte conducts asset information sharing with the industry leading BMC Atrium CMDB. 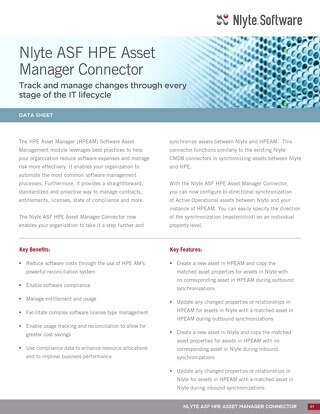 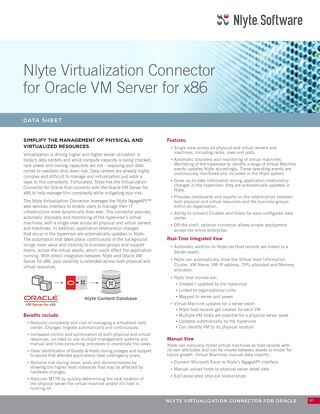 Configure bi-directional synchronization of Active Operational assets between Nlyte and HPEAM. 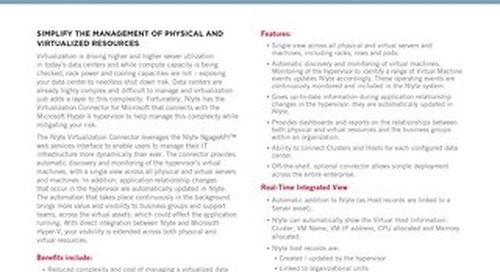 Easily specify the direction of the synchronization (master/child) on an individual property level.